Clues about Meghan Markle’s dress may be emerging. 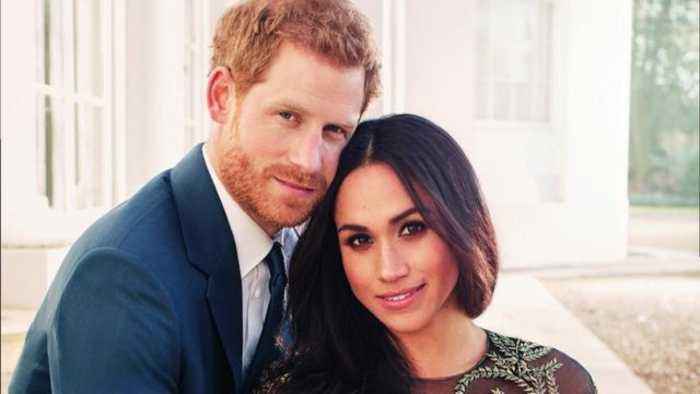 An eagle-eyed visitor to London took a photo showing rolls of ivory silk labeled ‘Ralph & Russo,’ the British designer behind the gown worn by the ‘Suits’ actress in her engagement photos. Inside Edition went to Joel & Sons fabrics, the official supplier of fabrics to the royal family, to try some on.